Instructor Bio: Growing up, Leslie was always creating. This love of creating lead her to pursue a Bachelor of Science degree in Education with a specialty in textiles. After ten years of inspiring school age students to the fun of creating with fabric, Leslie started her own quilt shop where she could inspire even more quilters in their creative journeys. As a quilt shop owner, Leslie acquired extensive experience and knowledge in teaching all aspects of piecing and longarm quilting in her shop and at local quilting guilds. 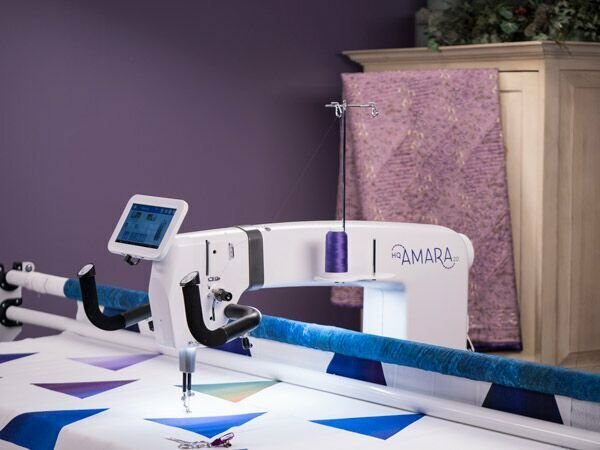 Being one of the first Handi Quilter retailers, Leslie brings a comprehensive knowledge of all the machines in the Handi Quilter family and loves to quilt on each of them.